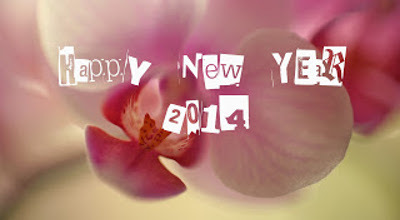 8 Resolutions Every Pastor Should Have for 2014. 1. Let influence be the theme of your leadership. I often hear pastors complaining (especially young pastors) about their frustration when they don’t have control over a particular situation. My advice would be this: When you don’t have control, don’t worry. You still have influence. Influence is built when you have great character, follow-through on what you say you’re going to do, and genuinely love people. Allow influence to be the theme of your leadership. 2. Don’t bend to critics. The critics can be so loud at times; it feels overwhelming. No matter the season of the year, there are disappointed expectations, and therefore people from all over the map who want you to do things their way. This year, don’t bend to the critics. Listen to the spirit. Don’t allow the critics to define you, or what you do. Let Jesus do that. 3. Be transparent. Being transparent doesn’t mean you push your problems or your emotions onto other people. It simply means being honest and inviting others into your space in an appropriate way. This year, be transparent with your staff, with your congregation, with those you lead, and with your family. When we are humbly transparent we invite the Holy Spirit in to do his transforming work. 4. Speak with your actions. You’ve heard it said that actions speak louder than words. Nowhere is that more true than in church leadership. If you say one thing, and do another, people will lose respect for you. Worse than that, they’ll actually start doing as you do, rather than as you say. Don’t forget. Actions speak louder than words. Let your actions speak loud in 2014. 5. Choose people over performance. As a pastor, it’s easy to get caught up in the frenzy of performance. There’s so much to do, and the work feels important. You want to do as much as possible in as little time as possible. The pressure continues to grow and grow. But this year, and always, choose people over performance. Those who have been entrusted to your care need love far more than they need a perfect Easter service. 6. Don’t neglect vision. Proverbs 29:18 says, “Where there is no vision, the people perish” and I’ve seen this to be true in my many years ministry. When you take the time to create a vision that is both simple and meaningful, it is truly life-giving to your staff and congregation. Don’t neglect creating a vision in pursuit of “getting started” with this next year. A little planning goes a long way. 7. Take care of yourself. This is one of the hardest things for pastors to do. Often we work ourselves to the point of exhaustion, telling ourselves it’s “for the Kingdom,” and justifying our sin. God doesn’t need you to kill yourself. He already died. It is already finished. If you find yourself losing your temper, losing touch with your family, suffering in your marriage, or growing an addiction to certain foods or coffee—chances are you aren’t resting enough. Take these as a warning sign. 8. Seek balance. God doesn’t need you to kill yourself, but He does want you to bring your whole self to the table. I don’t believe God is pleased when we play games on our smartphones, or check our Facebook status a million times, when we could be working. It’s important to seek balance in all areas of your life—work, family, friendships, social life, health, etc. Finding this balance is a lifelong journey, but it’s more than worth it. With more than a dozen years of local church ministry, Justin Lathrop has spent the last several years starting businesses and ministries that partner with pastors and churches to advance the kingdom. He is the founder of Helpstaff.me (now Vanderbloemen Search), Oaks School of Leadership, and MinistryCoach.tv all while staying involved in the local church. He blogs regularly about what he has learned from making connection at justinlathrop.com. Pope Calls for World Justice System Reform, Adding ‘God Is a Prisoner’. VATICAN CITY — Pope Francis Wednesday called for a more humane justice system, saying God too was “a prisoner” of the world’s injustices and was in every cell. “God is a prisoner too. He is inside the cell,” Francis said at an audience with Italian prison chaplains in the Vatican. “He is a prisoner of our egoism, of our systems, of the many injustices . . . that punish the weak while the big fish swim freely,” the Pope said. He also spoke of reforms to the justice system. Francis has shown close attention to prison life and in one of his first acts as Pope blessed the feet of young inmates at a juvenile prison in Rome as part of an Easter ritual in March. Italy suffers from severe prison overcrowding and there are growing calls for reforms that would cut down on lengthy pre-trial detention. Rick Warren: Got on Knees and Prayed Over Navy Yard Shootings. Megachurch pastor Rick Warren said he prayed for the victims and families of the Washington Naval Yard shootings the moment he heard about it. Warren is also a best-selling author. Nevertheless, as the cliché says, “When God closes a door, he opens a window.” Jesus is made alive in everyone because he was willing to die (the closed door). Then, in the resurrection (the open window), Christ becomes alive in the hearts of everyone who believes in his name, and that is awesome. The Paschal Mystery – the Christian concept that no matter who or what dies, there’s always resurrection – deals with death in a way that the world traditionally doesn’t. A believing Christian doesn’t like death, or loss, or change, but when death comes, he or she knows that resurrection is not far behind. Prayer: Dear Lord, help me not fear the losses in my life. Reassure me that, when the losses come, the blessings soon follow. Amen. Reflection: What has been your hardest “Good Friday” (closed door) experience? Describe the “Easter Sunday” (open window) that followed. 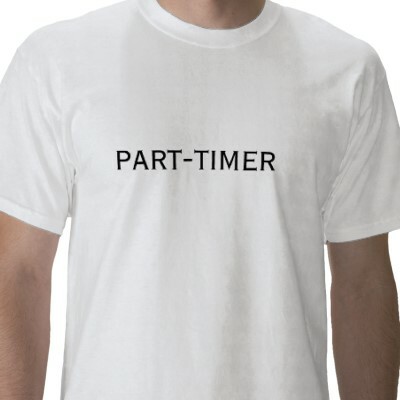 Are You a Part-Time Churchgoer? You May Be Surprised. It’s not the content you receive every week that is so formative; it’s the act of being together and making the Lord’s family your priority. It’s similar to a family to eats every night together at the table. The value is not in the specifics of your conversation, but the very act of demonstrating your love for each other. Trevin Wax is the Managing Editor of The Gospel Project, a curriculum developed by LifeWay Christian Resources. He blogs daily at Kingdom People. He is also the author of Holy Subversion(Crossway, 2010) and Counterfeit Gospels (Moody, 2011). 4 Ways Churches Break Attendance Barriers. Almost any time I mention numbers related to church life, I anticipate some responses about the value of numbers and congregations. In the 1980s, this type of discussion came primarily from more liberal churches that weren’t growing. Some of these leaders felt that declining membership and attendance were likely a sign of health. The members who really cared about the church were the ones who remained. They could make the biggest difference without the more nominal members remaining as obstacles. Today, it is not unusual for me to hear from more conservative church leaders that declining church numbers may be a good sign because it is an indication that the numbers reflect true regenerate members. But for the purpose of this brief article, let’s assume that attendance growth is a positive indicator. Presumably more people are hearing the gospel and being discipled when a church is growing. It is in that context that I hear almost every week from church leaders whose churches seem stuck at some level of attendance—100, 200, 500, 800 and so on. I even got a call a year ago from a church where the pastor was concerned that attendance was stuck at 7,000! After 25 years of consulting and researching local congregations, I have found four common approaches churches take to break attendance barriers regardless of size. There are certainly more than four possibilities, but allow me to evaluate these four more common approaches. 1. Create new groups. These groups may be home groups, small groups that meet in coffee houses, Sunday school classes, ministry groups or others. Church leaders are intentional about creating groups on an ongoing basis. They typically have goals for the number of groups they start. Evaluation: Frankly, I have seen great success with this strategy (and recently wrote about this strategy). I would speculate that as many as 8 out of 10 churches that strategically create new groups grow to new attendance levels. The mystery to me is why most churches don’t have this strategy. 2. Create new worship services. A church moves from one service to two, or from two to three, or even more. The move is typically precipitated by one or more services running out of space. Evaluation: Most of the time the new service does aid the church in breaking attendance barriers. But keep in mind, the church was most likely growing already until it ran out of space. The new service simply takes the lid off so the church can continue to grow. I would caution a church, however, about moving to an additional worship service if it’s not already in a growth mode. The worship center can seem vacuous if one nongrowing group is split into two nongrowing groups. 3. Create new venues. 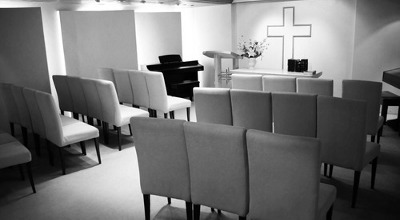 This principle is similar to adding worship services, but the church uses a different facility for the new service. That new facility may actually be a new campus. It may be an ethnic service meeting in the church facilities in a different room than the worship center. It may be a merged church from another location. The possibilities are many. Evaluation: The results thus far are positive. As a church adds a new venue, there is a natural increase in attendance. The multicampus form of this new venue is growing in use and popularity with mostly good results. We are still a few years away from being able to measure the midterm impact of new venues on growth. I would be willing to speculate that the results will be very positive. 4. Have a major event. The church’s strategy is to have one or more events that will create sufficient excitement for members to invite those who aren’t attending church. That event may be tied to a major holiday such as Easter, Fourth of July or Christmas. It may be tied to a significant tradition in a church. The plan is to get people to attend who would not regularly attend. What successful approaches have you seen to break attendance barriers? What do you think of these approaches I have highlighted? Why do churches not create new groups regularly and strategically when it has proven to be the most effective method for growth and for breaking attendance barriers?. Dr. Thom Rainer is the president and CEO of LifeWay Christian Resources. Prior to LifeWay, he served at Southern Baptist Theological Seminary for 12 years, where he was the founding dean of the Billy Graham School of Missions and Evangelism. He is a 1977 graduate of the University of Alabama and earned his Master’s of Divinity and Ph.D. degrees from Southern Baptist Theological Seminary. Most of the time when we think about Easter, we think about the fact that we get to go to heaven when we die, and that is true. Jesus is preparing a place for us where, when we die, we will be with him forever. It’s a place where we will be in glory with the Father. We will be in his loving care, and there will not be another tear shed. It will be beautiful, it will be wonderful, and you have nothing to be afraid of in that regard. Nevertheless, Jesus’ main reason for raising himself from the dead and wanting to save us was not just so that we could go to heaven when we die. Jesus’ goal was to bring heaven to earth. That’s why Jesus continually preaches the kingdom of heaven is at hand; he says that all the time. That was Jesus’ message. Jesus was resurrected from the dead because he wants to save this world. Jesus died on the cross to save our souls from sin, but he was also resurrected from the dead because he wants to save everyone in this world. Prayer: Dear Lord, thank you for bringing heaven to earth through your Son, my Lord Jesus. Amen. Reflection: How do you experience heaven on earth?